Congrats to Mesmoro and Priya! 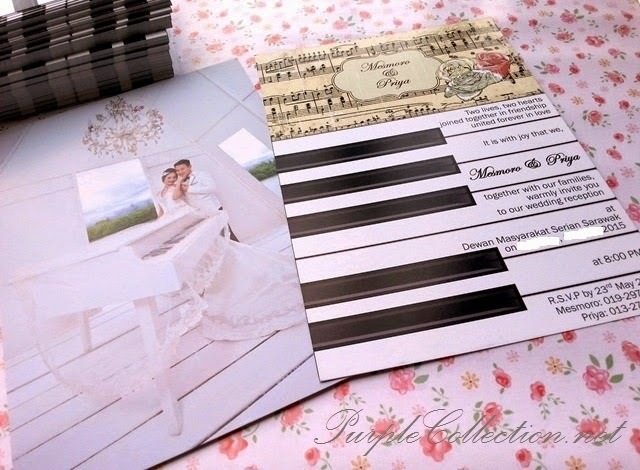 This lovely couple had requested for a piano wedding card design as their invitation. We just love how the invitation wordings arranged on the white keys. At the back of their invitation card is their beautiful wedding photo with a white grand piano.